Check out these Captivating Town Homes have 3-bedrooms 2.5 bath. Downstairs offers living room, half bath and Kitchen with Stove, Refrigerator, Microwave and Dishwasher. These units even include Washer and Dryer, also offers a 1 car compact garage for even more storage. Nice patio space out back, lawn care included. 2 Small Pets Max. Conveniently located closed to Wilma Rudolph which is where all your shopping and restaurant needs are. Directions:From exit 1 turn onto Trenton follow it down till you get to Needmore at the four way stop you will turn right onto Needmore units will be on the Left side right before the Stop sign. SchoolsClick map icons below to view information for schools near 770 Needmore Drive-38 Clarksville, TN 37040. Home for sale at 770 Needmore Drive-38 Clarksville, TN 37040. Description: The home at 770 Needmore Drive-38 Clarksville, TN 37040 with the MLS Number 1996147 is currently listed at $0 and has been on the Clarksville market for 71 days. 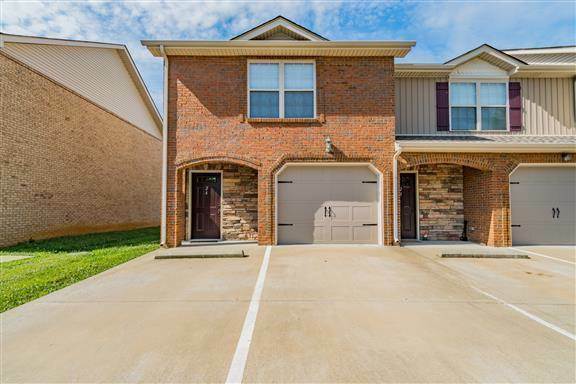 You are viewing the MLS property details of the home for sale at 770 Needmore Drive-38 Clarksville, TN 37040, which is located in the Windchase subdivision, includes 3 bedrooms and 3 bathrooms, and has approximately 1416 sq.ft. of living area.